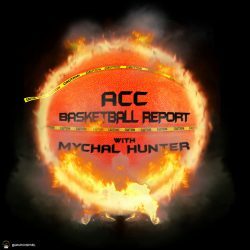 Last night was another rough evening for ACC bubble teams as Syracuse and Florida State both lost games that they probably had to have. Those two losses leaves the door wide open for Louisville who is the only ACC bubble team left that has two regular season games remaining on their schedule, both against quality opponents or “quadrant 1” teams. Ultimately the fate of these teams is going to come down to this coming Saturday. I want to take a quick look at four games on Saturday that will have a profound impact on the NCAA Tournament. This is a game that Syracuse absolutely, unequivocally has to win. This is the biggest game of the season for them. The good thing for the Orange is it is being played in the friendly confines of the Carrier Dome, the bad is the Orange have lost 5 true home games this year. After losing last night in Chestnut Hill, Syracuse sits at 7-10 in conference play with an RPI of 49, a strength of schedule of 16 and a KenPom rank of 53. Syracuse needs this win AND get at least one win in the ACCT to be a legitimate dance team right now. We all know that probably two bids (at least) will be stolen during championship week that will shrink the bubble. A 7-11 ACC record with four of those wins being Pitt, Wake Forest and Boston College is not something that is going to impress the selection committee. Florida State is really playing with fire right now, having lost two in a row and four of their last six. Last night’s loss to Clemson was a killer. They have the edge on Syracuse as far as RPI goes with a ranking of 45 and they have a better record in the ACC but that 62 SOS is not going to help them at all. A 9-9 record with a win in the ACCT should mean they are in the dance but it all starts with this game against the Eagles, a team that has already beaten the ‘Noles once this season. No one expects Notre Dame to win this game. The Irish are playing the #1 team in the country, on the road and it will be Isaiah Wilkins’ senior night. John Paul Jones arena is going to be hopping. If the Irish are able to pull this one out they are probably in the dance with a win in the ACCT but it will also be very important to look good in a loss. The committee is no doubt watching this team to see how they look with the return of Bonzie Colson, who looked very good last night against Pittsburgh. With an RPI of 69 and a SOS of 53, a win in Charlottesville will give the Irish an obvious boost and give them a better win than any of the other bubble teams in the conference can boast. This team has potential to be a second weekend team with higher upside than any other of the other 3 teams mentioned here but they need to make the tournament first. I will actually be in attendance for this game which I am pretty excited about. State will be playing for their double bye and NCAAT seeding while Louisville will be playing for their season. Louisville is currently in the best position of any of the bubble teams mentioned here. The Cardinals currently sit at 9-7 in the ACC with an RPI of 38 and a strength of schedule of 30. They’re also the only one of the four to have two remaining games before the ACCT begins next week. The obvious drawback here is that they play Virginia at home tonight and then travel to Raleigh for this game on Saturday, two games in which they will not be favored. If they are able to split these two games and go into the ACCT with 10 conference wins I think they are safely in the dance. Going 0-2 with an early exit in the ACCT would be a disaster and make them the most talented team in the NIT.